Two Part Post by Brittny Kvilhaug- Transform your Scrapbook Layout into a Card! Welcome to day two of my two-day weekend post here at Design Memory Craft! I hope you were able to make it yesterday to see the mixed media layout video that I posted and that you’ve made it over to my blog to enter the Faber Castell Design Memory Craft giveaway! Today I have another video tutorial for you about transferring some of the techniques we did on yesterday’s layout to a greeting card. You’ll have to excuse the video a little though – somehow in my toothache-consumed brain the formatting on my camera got all wonky, and though I would normally reshoot, I’m attached to my tube of Orajel and bottle of pain killers. I know, I’m a stellar example for the kiddies, huh? I hope you all enjoyed the video and as always, just let me know if you have any questions at all! 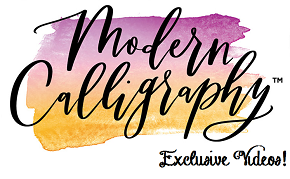 And be sure to jump over to my blog to enter the giveaway! And since this is my last weekend as a Guest Design Team Member, I just want to say thanks so much to Design Memory Craft for letting me play along! I have had such a great time! Brittny Kvilhaug I’m a wife to Eric, the proud mommy of a four-legged mouse-killer, an emotional baker and sometimes I even call myself an artist. Sometimes… I’ve been working in the industry for about five years and have loved every minute! I’ve had the opportunity to wear several hats, including designer, teacher, sales rep, team member, and now mixed media artist – there’s that word again!!! There is nothing more exciting than breaking into a brand new of goodies and imagining all the fun stuff that’s going to come out of it! I am so happy to be a part of the guest design team for Faber-Castell and have had a blast playing along! In the short time we've corresponded with our Guest Designers, we've all noticed one thing: their personality. Each one of our Guest Designers is filled to brim with personalities we were immediately drawn to. So here comes our dilemma- how do we convey that to our readers? Our solution? A short and sweet Q&A. Hi guys! This is day one of my two-day post weekend, and I’m so glad you made it! I am so in love with this hobby and I love combining hobbies even more! Here’s a scrapbook layout I made using some mixed media techniques with Gelatos, Stamper’s Big Brush Pens, and Artist Metallic Pens, along with some other goodies from my stash. Thanks for watching the video, and let me know if you have any questions! Also, be sure to visit my blog to enter to win a huge bundle of greatness from Faber Castell Design Memory Craft!! And because I am a total spaz and switched up my dates, the deadline is now extended until October 5, so be sure to get those entries in for your chance to win! I’ll announce the winner on my blog on Monday, October 8! Hi! Jill here and today’s card features one of my favorite techniques-coloring directly onto my stamp with my Stamper’s Big Brush Pens. The fern image on my card was stamped using Subtle Tones Stamper’s Big Brush Pens Light Flesh 132, Ivory 103, and PITT® Artist Pen Cold Grey I 230. Have you recovered from the creating whirlwind that is Scrapfest? After you unpacked all of your projects, did you find that you forgot a step or two, or perhaps what products you used? That happens a lot! But Design Memory Craft is happy to refresh your memory. Here is a rundown of the project you created at our booth. Art With The Stamper's Big White Pen! I had the chance to work with The NEW Stamper's Big White Pen! I knew it would look amazing on a black background so I painted black gesso over a piece of mixed media paper and when it dried, I drew on it with the Big Brush White pen and the white Art Grip Color Pencil. Faber-Castell Design Memory Craft® Mix and Match supplies! Hi everyone, Mou here with some more art journaling on the road... actually some in flight and some while waiting! Recently, I flew out to teach at a convention in California. Unfortunately, I didn't bring anything to read for that 3-hour afternoon flight, so I read a few in-flight magazines. While I was flipping through a Latin magazine, I came across an architectural photograph. 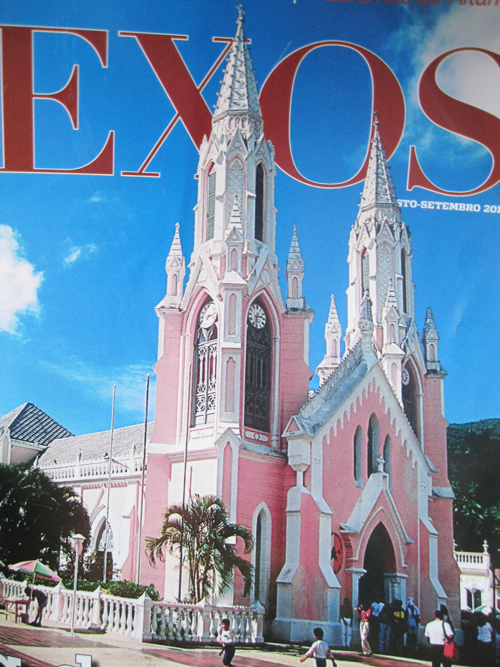 It was a pink Cathedral in some part of South America and it was beautiful. I rummaged through my bag and I came up with a mechanical pencil. I wanted to draw that cathdral even though all I had with me was a mechanical pencil, so I sketched it roughly. Hi everyone, this is Erin here writing my last guest design team post! I'm really going to miss it!! Today I'm sharing with you this coffee sleeve I altered. To create this coffee cozy, I took a piece of Sticky-Back-Canvas and traced a Starbuck's coffee sleeve onto the canvas' disposable liner. I then cut out the canvas and then painted gesso over the canvas side and allowed it to dry. In honor of World Cardmaking Day we are partnering with Operation Write Home to send cards to our troops. Make a card now through October 20th and send it to Design Memory Craft. Three winners will win prizes worth $40 for our favorite cards! 1. Create a card using Design Memory Craft products. Any type of sentiment works; Missing You, Happy Birthday, Holiday, etc. Be sure to include an envelope! 3. Sit back and collect your good karma! Watch the Design Memory Craft Blog where we will post our prize winners on October 22nd!